Rhonda L. Griswold is a Partner with Cades Schutte and Chair of its Trusts and Estates Department. Her practice focuses on estate planning, trust administration and fiduciary duties, and probate, conservatorships, and guardianships. Ms. Griswold’s practice includes advising clients as to all areas of estate planning, from basic wills and trusts to more sophisticated planning such as generation-skipping dynasty trusts, sales to irrevocable trusts, qualified domestic trusts, charitable gifts, and family limited partnership planning. 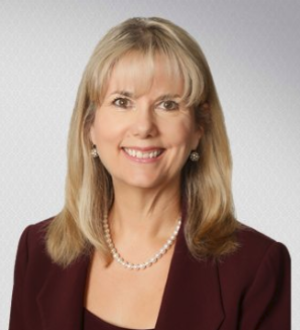 Ms. Griswold also devotes a substantial amount of her practice to counselling corporate and individual fiduciaries as to their duties in the administration of estates, the proper interpretation of wills and trusts, and the termination and distribution of trusts. In addition, Ms. Griswold represents clients in contested probate and trust proceedings. Ms. Griswold is a member of the American Bar Association, the Hawai‘i State Bar Association, Gift and Estate Tax Section (former Chair), former President and current Director of Hawai‘i Women’s Legal Foundation, Secretary and Director of the Hawai‘i Justice Foundation, a Director of the Hawai‘i State Bar Association, and a Director of the Cades Foundation. In re Elizabeth J. K. L. Lucas Charitable Gift, 125 Haw. 351 (2011) (clarifying cy pres doctrine in Hawaii). In re Robinson Trust, 110 Haw. 181 (2006) (trust interpretation case). In re Medeiros Testamentary Trust & Life Insurance Trust, 105 Haw. 284 (2004) (trust interpretation case). In re Estate of Ferdinand Marcos, 88 Haw. 148 (1998) (finding no Hawaii domicile in probate proceeding). Ms. Griswold has given numerous seminars and speeches in a wide variety of estate planning and trust administration issues.